…to tell the story of every single man and woman who fought and served to push Britain to victory in the First World War. To realise this vision the Imperial War Museum have created an innovative new digital platform which will eventually hold a life story page for everyone who served. Members of the public are encouraged to help build up as full a picture as possible of the people whose contribution they want to commemorate by adding their personal stories, photographs and images. Users can also group individuals together in communities such as regiments, local football teams, family groups or everyone commemorated on a particular memorial for example. Finding 8 million people and creating pages for each of them is a daunting task to say the least, so how does it work? The Medal Index Cards (one of the biggest surviving record sets covering people who served in the First World War) have been used as a seed record to get things started. So at the moment a life story page exists for everyone who has a Medal Card Index record. There are many people of course who do not appear in these records and so more seed record sets will be added as the project progresses. 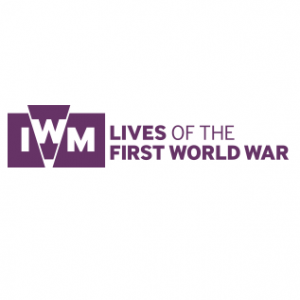 The IWM are also working in partnership with DC Thompson Family History, owners of Findmypast, to provide access to official records such as census returns, BMD records and additional military records on the site. You can attach these official records and fill in the details of the facts they reveal, such as date and place of birth, names of family members, occupation etc, to build the life story page of an individual. IWM are committed to keeping and maintaining Lives of the First World War as a lasting, permanent memorial. Help preserve your family tales and mementoes for future generations by uploading stories, photos and images of memorabilia such as medals and diaries to the life story pages of the WW1 heroes in your family. I just love the idea that you can pay tribute to your ancestors by telling their story in as much detail as possible in this way. I have been lucky enough to be a beta tester for the site prior to launch and have already started adding to the life story page of my great grandfather Thomas Hewitt, who served in the Royal Engineers. The more I uncover and research any family member who fought for their country during this dreadful war the more in awe of them I become. And family members who paid the ultimate price. It will be an honour to commemorate them all on Lives of the First World War. Get Our Latest News and Advice Straight To Your Inbox! I respect your privacy and will never share your email address with anyone else. We respect your privacy and will never pass on your email address to anyone else. The 1939 Register Has Arrived. Best Sleuthing Hats On! Enter your email address to receive Unlock Your Family Tree's free email newsletter. © 2019 Unlock Your Family Tree.